In a competitive setting, the acquisition of skills is key to human survival and educational skills cannot be downplayed as it forms the basic building block and competitive advantage for the citizenry of any country. To continue the fight for citizen participation and need assessment in budget processes, the data mining team of Follow The Money during its data research process discovered that the construction of a block of 6 classrooms, H/T office, Asst H/T office, store and toilet with firefighting and fire alarm at U.P.E primary school, Iraye-Oke, Epe has been tendered by Lagos State Universal Basic Education Board and the bidding process has been concluded since November 2017. #EducateIraye-Oke campaign has been initiated to track the expeditious implementation of the project. Through this campaign, all concerned stakeholders especially the Lagos State Universal Basic Education Board are expected to cohesively release all necessary information and uphold public interest through being accountable and ingenious in the usage of the funds that have been released for this project. 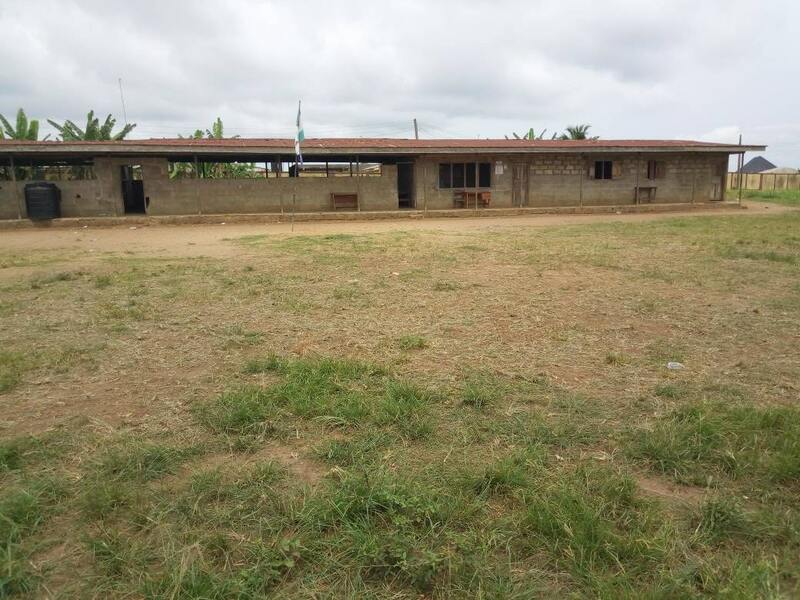 20 April 2018: According to the team, the two women interviewed stated that the community is aware of the project but they complained bitterly about the size of the school, as the new structure will not accommodate the school population of over 350 pupils. The pupils of the school also arbitrated that the building is too small for them. To portray their point, they took the team to the old structure at Alaro community comprehensive school which is about 30 minutes walk from the new location. In the words of one of the parents, she enjoined CODE to help them facilitate the construction of a bigger structure. 20 April 2018: As at the time of the outreach, the construction was ongoing and about 70% completed. 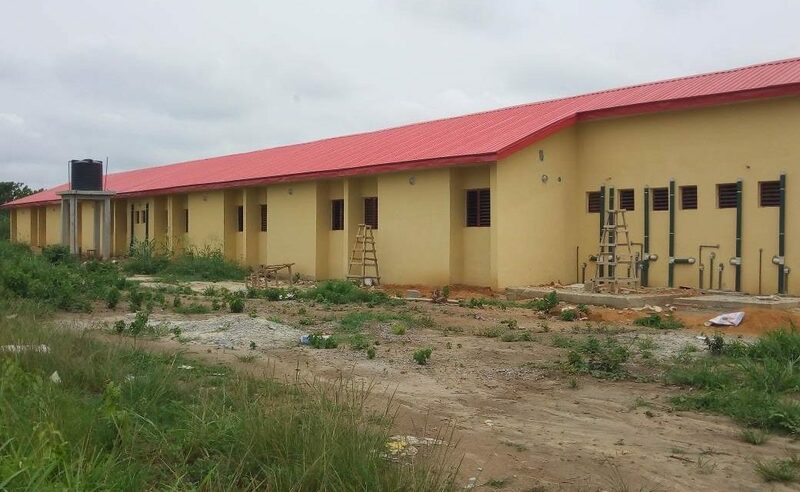 The building has been constructed with roofing, all the classes have been plastered, ceilings have been fixed for the classes and the whole building painting is ongoing, lightings have been fixed, with doors and windows. The Toilet and offices have also been completed except for their paintings. The Painting of the exterior part of the building has started and almost 65% completed. The borehole water system has been completed too with the taps fixed. 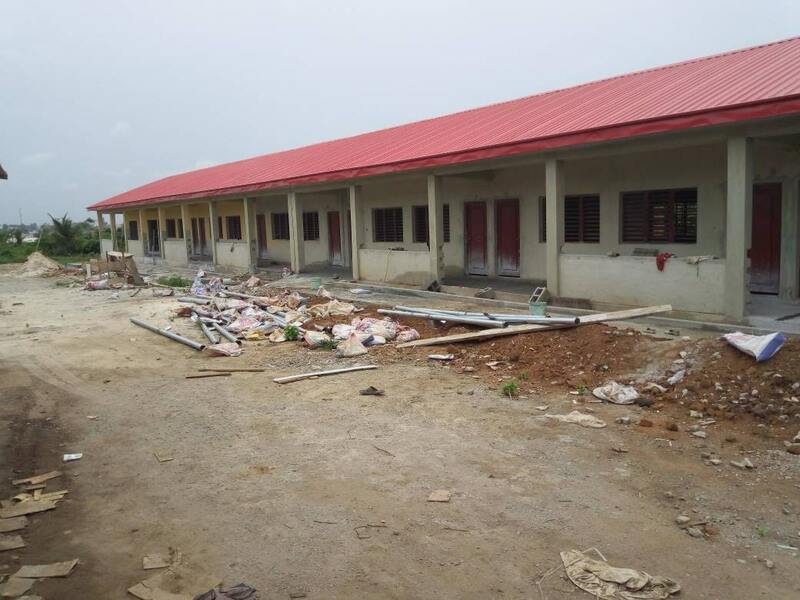 However, much still needs to be done as the fixing of terrazzo on the hallway is still ongoing, the firefighting systems have not been installed, while the huge bush blocking the visibility of the school from the main road is a security threat as happenings in the school will be hidden from the community. 20 April 2018: In order to forge a working relationship with the traditional leader, the team visited the Oba’s Palace but could not meet with the traditional ruler as the king had joined his ancestors. Notwithstanding, the team met with the Chief of Staff (Mr Tunde Anwoju) to the Oba-elect Chief Olusegun Anwoju, as the Oba-elect was on a trip to Lagos. Mr Tunde affirmed that the community is aware of the project and expressed his appreciation to CODE for their interest in the development of the community. 20 April 2018: The FTM team went for a community outreach at Iraye-Oke community in Epe Local Government area of Lagos state to gather more information on the construction of a block of 6 classrooms, H/T office, Asst. H/T office, store and toilet with firefighting and fire alarm. 22 March 2018: The FTM team submitted an FOI request to the Lagos State SUBEB for post bids evaluation data on the various project being tracked.